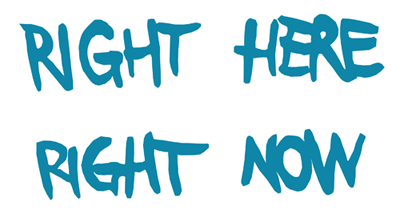 The title of this post may seem quite controversial to the name and general positive message of this blog, as it suggests a more realistic and ruthless approach to life. If I want to be totally honest, I would simply say that ‘Life is not a fairy tale’. I don’t mean to be negative here in any way, just explain that there is a balance in life that we need to find and work with so that we can live with less frustration and more satisfaction. Life is supposed to be waves of ups and downs, good and bad times, positive and negative experiences. No one can be ‘up’ all the time. There is an ebb and flow of life, or as the yin and yang symbol suggests: there is good and bad, positive and negative; and it is all about finding the balance. Without the negative, we would not know what is positive. Without darkness, we would not know what light is. Having grown up on television, I realised how much the media (at least most of it) made us believe that life can be a fairy tale. I remember all the TV series and romantic movies I have seen that made us believe in and hope for a perfect life. Most TV programmes back then were not showing a realistic image. I understand that the point of those programmes was pure entertainment, but they brainwashed most people to believe in a romantic picture that does not equal real life. The power of television has slightly changed and weakened since the Internet and social media took over in the last decade. However, this new technology and new media platforms bring up the same issues in different forms. On social media, people tend to broadcast a perfect image of their life (omitting the imperfectness), whether they are famous, popular, semi-famous or just average people. This has proven to lead to depressive feelings or even depression, especially among the youngest generation who are easily led to believe that they are not as good as others, when in fact, nobody’s life is perfect all the time or in all respects. Life is not (always) a fairy tale, however we can learn to accept the fact that it is never perfect and live it with a positive attitude. Even in dark times, we can focus on improving ourselves in various ways, we can appreciate what we already have and learn the lessons we need to learn in order to move on to the next level. We need not be impatient or frustrated, the Universe will support us to get there when the time is right and when we are ready. We are here to enjoy the ride and do our best in the present moment. Many of us wonder how we can effectively stop procrastinating and be more productive in our lives. I do not have the ultimate answer to that question, I am just one of those people who struggles with procrastination from time to time, and trying to figure out why we are sometimes working against ourselves. It seems like we are our own enemy when we do not take action towards our goals that we have set out to achieve, but maybe we should just chill out a bit and stop verbally punishing ourselves for not doing what we think we ‘should’ do. We can read various tips on how to stop procrastination. Starting with one small task may give us the motivation to move on to the next task. But sometimes we are not even able to get started with the easiest task. One of the best ways to stop procrastination is to eliminate the word ‘should’ from our vocabulary. When you say things like ‘I should clean the house’ or ‘I should sort out my paperwork, but I don’t feel like doing it’, then you are not fully present in the now. The now is all you have, the past is already gone and the future is not here yet. What would you have to do now that could make you feel better about yourself? What could you do now that your future self will thank you for? Can you accept the now as if you had chosen it, or your mind is constantly wandering off into the past or the future? Can you make the best out of your now? In other words, can you be present in the now, because that is all you have? Whenever you catch yourself saying ‘I should’, stop for a moment and ask yourself why you are putting off doing that certain task. Probably it wouldn’t take too much time to sort out the clutter around the house, but we would feel much better after it has been done. Each small task that you can do in your now will be beneficial to your future, no matter how small it is. Progress is progress, even if you are taking only baby steps at a time. If you don’t feel like cleaning today because you are too tired – do not feel guilty, just relax a bit; but when you wake up with a fresh mind, do whatever you can do to make yourself feel better and get on the right path to achieve your goals. I have found this quote quite appropriate for my current situation, and I was meaning to write a follow-up post to my previous blog post: Everything happens for the better? When I was writing that post I was in an uncertain situation where all I could do was to trust the Universe/God, have faith and continue to do my best. It did not take long for the ‘magic’ to happen as an unexpected phone call solved my issue. The above quote from Eckhart Tolle reminds us as well to work with the Universe, no matter what situation we are in. Do what you need to do, do what is right, follow your instincts. We might be waiting for a situation to get resolved. Instead of getting frustrated and worried, we should just do what we can do, and trust that the Universe/God will take care of the situation. It might take a while, as God might have a better/bigger plan for us. Trust that all will be fine in the end, take all the necessary actions that you think are needed, and let God deal with the rest. Work with the Universe, not against it! Everything happens for the better? We all heard the phrase ‘Everything happens for a reason’, and many times we can justify that statement. We might have made a mistake in the past and learnt the lesson to not make that mistake again. We might have experienced something that gave us valuable lessons and we have learnt and grown due to that experience. However, do you believe that everything that happens to us is better for us in the end? We often want to achieve certain things in life, like getting a specific job, having a baby, selling a house – and things just don’t turn out the way we had imagined. Despite all our efforts, we will not get the job, we will not get pregnant and we will not be able to sell the house. Is there a bigger plan that has something better in store for us? It can be a real struggle when things don’t turn out the way we had imagined or it takes much longer time than we thought. It can be really frustrating when we have prepared ourselves, took all the necessary actions and it still doesn’t work out. What do we do then? All we can do is have patience, and trust that there is a bigger plan for us. In the meantime, we can focus our energies on what else we can do to improve our life. For example, if you do not get the job, maybe it is time to complete that course you were always interested in, and slowly build your own business. Whatever the situation may be, you can always improve a certain aspect of your life that might help you become the person you really want to be in the future. Why and how you should express your gratitude? Keeping a gratitude journal is a great way to express your gratitude daily, but why is it even important to do that? Expressing your gratitude daily makes you realise that you can appreciate so many things in your daily life that might have been taken for granted otherwise. If you take it for granted that you can walk, think about those people who got injured or are disabled in a way and cannot walk. If you take it for granted that you have at least 3 meals a day, think about those people who do not have enough to eat. If you take it for granted that you live in a nice house, think about those people who do not have a nice place to live. The list could go on and on. If you get so busy and stressed out in your daily life that you forget to appreciate the little things, then you can easily get depressed and just lost in all kinds of negative vibes. If you feel that you are stuck in a certain area of your life and want to make some positive changes, I suggest you start a gratitude journal. Improving your emotions about a certain subject will help to make positive changes. Don’t focus on the problems, focus on the solutions. Feel positive emotions by focusing on the good. Writing a gratitude journal daily can gradually shift your mood and improve your life. Do not expect immediate results, it will take some time to build up those positive emotions that are going to change your perspectives and your life. So how do you write a gratitude journal? First, buy a notebook or take one that you already have. If it makes you feel better, you can buy a fancy-looking notebook for this purpose, but you can also use a plain one. Then, take some time for yourself either in the morning when you get up or in the evening before bed, and try to write 10 things you are grateful for. They can be generic things, but you can also reflect on the things that happened during the day. I personally prefer to write in the evening, and I like to reflect on the day. I am grateful for my tasty dinner. I am grateful, because I live in a nice house. I am grateful that I have a job and I can pay my bills. It feels good when I have time to pamper myself. It makes me feel good when I take care of myself. It makes me happy when I plan the details of my holidays. I appreciate when I can spend my time with like-minded people. It feels good to take steps towards my goals. Keep stretching your mind every day and build those good feelings! It is not the end of the world if you skip a few days, but every time you write in the gratitude journal is for your own benefit! 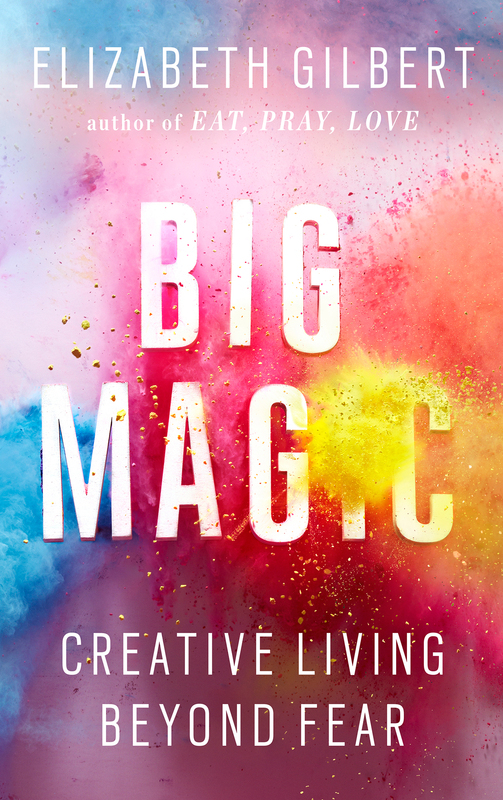 I am very grateful that I was introduced to this inspirational, life-changing book called Big Magic written by Elizabeth Gilbert, author of Eat, Pray, Love. I feel a bit inappropriate to call this book ‘life-changing’, since people usually refer to books like The Power of Now from Eckhart Tolle, or The Secret from Rhonda Byrne as such. It is that for me anyway (like some sort of personal Bible). I believe I will get back to it in the future, and reread it for everyday inspiration and encouragement. It could be life-changing for many other people out there, who may never get around to read it. That is why I am spreading the message – read this book! The primary theme in the book is about creative expression, therefore one could think it is written only for artists, such as writers, poets, painters, actors, etc. The author talks a lot about her own path in creative expression and writing. If you consider you have any sort of creative talents to be expressed, then this book is for you. If you never considered yourself talented in any creative field, there must be at least something that greatly interests you and find joy in pursuing that thing. Then this book is for you as well. You don’t have to be a professional artist at all, this book in itself is an inspiration to follow through with whatever you like doing, just because you love to do it. The author encourages all of us to pursue our dreams, because it is fun, and reminds us all the time not to be discouraged by any outer circumstances. Because if we are in this lifetime, we might as well enjoy it! Recently, I was wondering what exactly inspires writers and artists in general to create. Studying famous authors of the past, the common feature that I discovered is that they liked to visit a specific place (like a park or a café), or even go to a different country to gain inspiration. I believe the everyday routine-like life of working hours and home/family time does not favour writers to be the most creative. They need to get away from the routine to see new perspectives and express themselves in new ways. Personally, I feel the same. I tend to get the most creative and inspired when I am in a fresh, new environment or when I get completely relaxed in nature. Travelling and discovering new places certainly helps, but little or big changes to your daily routine can also be beneficial for the creative mind. How do you get creative as a writer?